If you know me you will already know that I do love a good chick lit with a fabulous love story intertwined into it. I also love discovering new authors of the genre so was thrilled when Notting Hill Press got in touch with me asking if I'd love to review the new released by Michele Gorman. I'd heard of Michele before, but never read any of her work so was looking forward to discovering it. Scarlett and Shannon are best friends, who spend their days with our four legged best friends - dogs. Scarlett is a dog trainer, running her own training school 'Ruff Love' and Shannon is a professional dog walker, normally walking pampered pooches who have often been spoiled. Friendship and business isn't the only things these ladies have in common however, there's also Rufus - Scarlett's husband and Shannon's best friend. So when Scarlett and Rufus's marriage hits rock bottom due to a devastating turn of events they both turn to Shannon. Can she stay neutral and avoid taking signs in a horrible moment in both their lives? I found this book to be a breath of fresh air and it was certainly unique in the way that it used dogs to tell the story and keep it going along. Some of the things the dogs mentioned throughout the story got up too had me in stitches at times (and at times I was on public transport whilst laughing). It also made me realise how much pets can mean to us. During the story you can certainly tell how they have brought certain people together, especially Scarlett and Shannon. Yes, they would've been friends anyway via Rufus but their love of our furry friends brought them closer, well that's what I think anyway. There are a few themes dotted throughout the book, with the most prominent ones being friendship, family, loyalty and love. At times in the story loyalty between certain characters are tested due to various challenging times and decisions and you are left wondering where their loyalties lie and if things will ever get back to normal. It also leaves you guessing at times with regards to this, I know it did for me. Friendship, family and love are all rather similar, but at the end of the day I think the message that is trying to come out is keep your loved ones close and treasure them, always. I loved Scarlett and Shannon as a double act! They complimented each other perfectly and bounced of each other well. I loved their sisterly like bond, even when times got tough. It was a pure love and the saying 'you can't choose your family, but you can choose your friends' definitely plays into this relationship. It tugged on my heartstrings at times. Rufus was a character that had his moments. There were times where I loved him and felt sorry for what he had to go through, but other times I hated his decisions and the way he acted. I could say I had a love/hate relationship with him. The characters that stole the show mind you were obviously the dogs! All of them had their own personalities and at times it didn't feel like I was reading about dogs! Michele brought them to life in a comical, lighthearted way. I especially loved Murphy and the way he wanted to hump everything in sight, it was pretty comical! 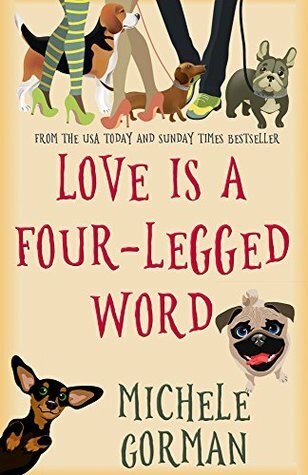 I really enjoyed Love is a Four-Legged word. It was unique. It was comical. It was lighthearted. It was emotional and it was most certainly something that I won't forget in a hurry. I am glad I have discovered the work of Michele Gorman and I am ever so looking forward to reading more of her amazing work. Michele Gorman is the USA TODAY and Sunday Times bestselling author of ten romantic comedies including The Curvy Girls Club and the Single in the City series. 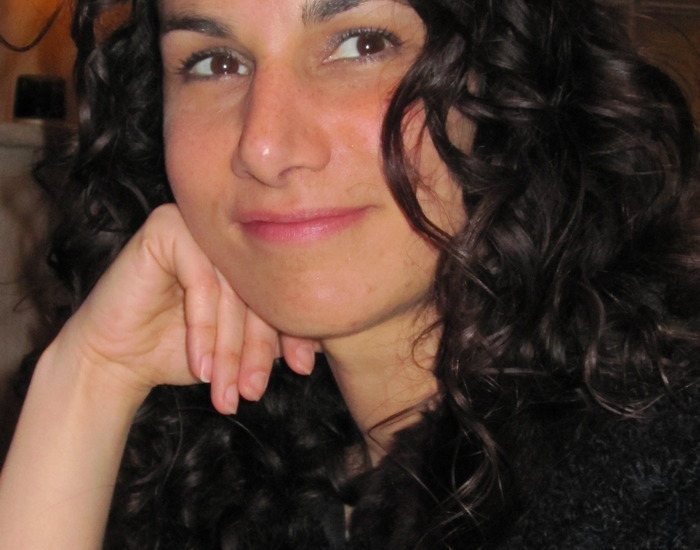 Born and raised in the US, Michele has lived in London for 17 years. She is very fond of naps, ice cream and Richard Curtis films but objects to spiders and the word "portion".